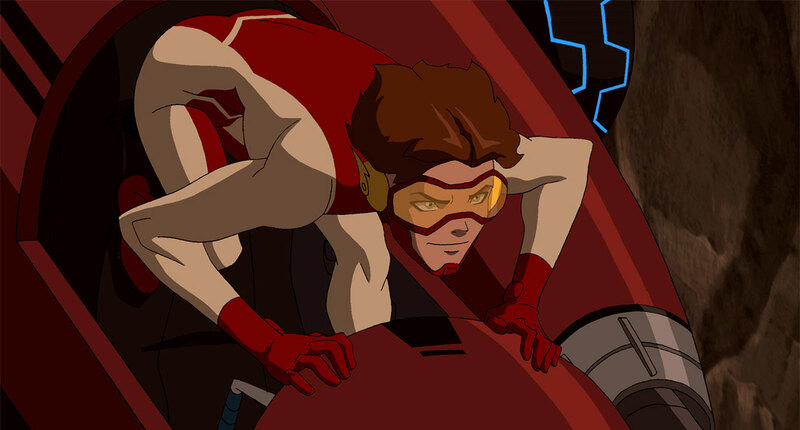 This episode features the arrival of Bart Allen, the time-traveling speedster known as Impulse. Impulse adds a dash of fun to a season full of high stakes and betrayals. Like his comic-book counterpart, he blurts out things he shouldn’t before thinking of the consequences, like when he reveals to the Flash family that Iris is pregnant with the future Tornado Twins. Impulse steals every scene he’s in, and it’s fun to see how all the characters play off him. But Bart’s hyperactive personality may be masking a mission to prevent a horrific future... This installment also features some developments in the search for the original Roy Harper, and an interesting variation of “Take Your Kid to Work Day” when Red Arrow and Cheshire battle enemies while their daughter Lian is strapped onto her mother’s back. It's a unique way of parenting for sure. 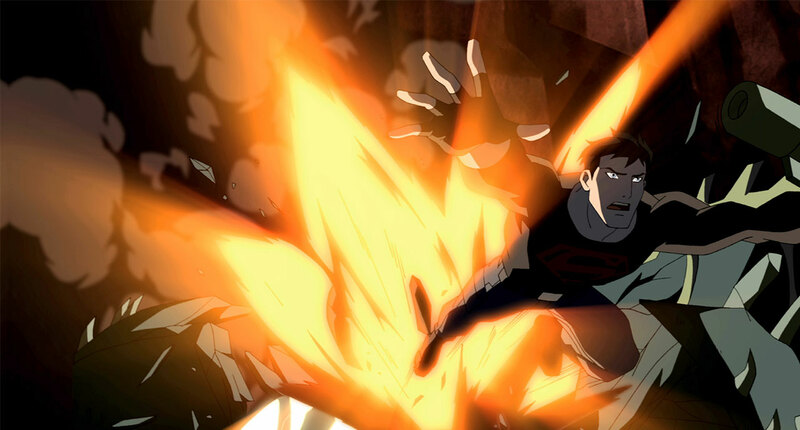 Bonus: "Bloodlines" is one of the spotlighted episodes in Young Justice Enhanced! This episode proved to be a major turning point for the series and an emotional roller coaster for the fans! We open up with a flash-forward of Artemis dying by Aqualad’s hand, breaking the hearts of all who loved her and were hoping Kaldur still had some humanity left in him. But just as the viewers begin grieving for Artemis and hating Kaldur, we learn the whole thing was a ruse. 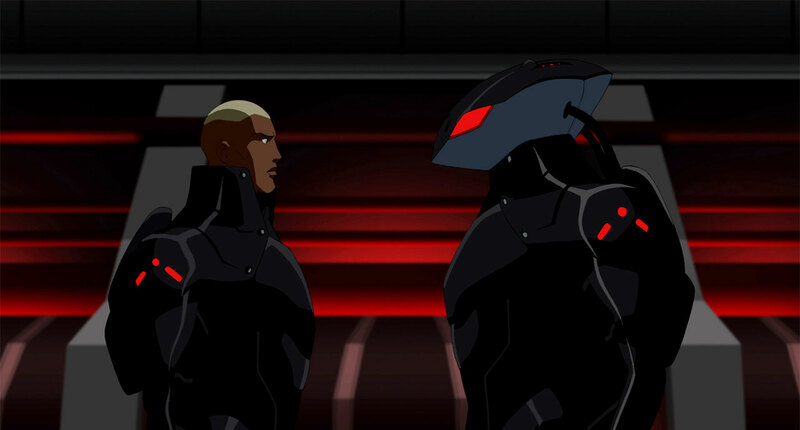 Not only has Aqualad secretly been working as a mole for Black Manta, but Artemis’s death was staged so she could join him undercover as Tigress. Nightwing and Wally are in on the scheme as well, but the rest of the team is in the dark; as they mourn Artemis and curse their former friend Kaldur. This episode makes viewers question what they’re seeing, sends their emotions all over the spectrum, and puts their favorite characters in complicated situations which will last for the remainder of the season. Be sure to check out the Enhanced version of "Depths"! This episode contains one of the series most shocking moments -- when Aqualad, Tigress, and their crew destroy Mount Justice. By detonating the bombs, Kaldur and Artemis were able to prove their loyalty to Black Manta as they went deeper undercover. While Artemis and Kaldur’s hearts were with their former teammates, they pulled no punches and wound up hurting many of their friends. Wally, one of the few people who knew the truth, was devastated and angry at Nightwing. How far undercover can you go before you’re in too deep? Blowing up Mount Justice raised this question for not only Wally, but the viewers. No matter the answer, destroying the Team’s home was a shocking move that demonstrated how high the stakes were. 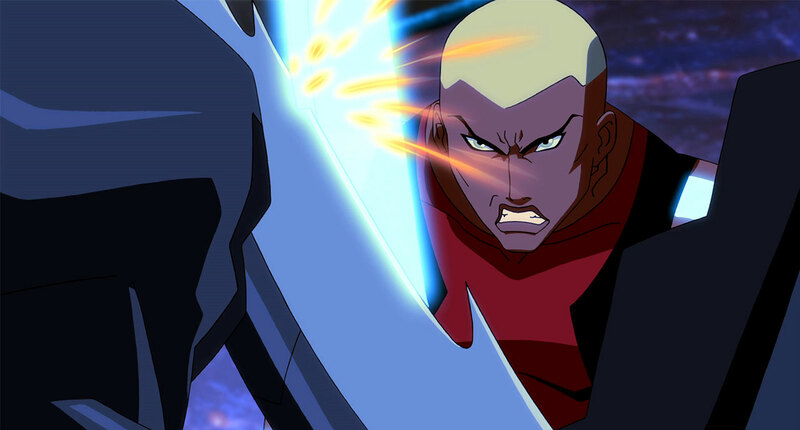 In one of the tensest episodes of the series, Megan, Artemis, and Aqualad try to maintain their careful deception under the watchful eye of Black Manta. The trio search for an escape plan, but cameras and guards are watching their every move and listening to their every word. Their charade becomes even more difficult to maintain when Cheshire and Sportsmaster show up to avenge Artemis, unaware that she’s still alive and acting as Tigress. "Complications" is probably the biggest nail-biter of the entire show. It’s like watching a friend juggling a series of live grenades -- no matter how coordinated they may be, things will eventually blow up in their face. Something Kaldur barely avoids here. To call the climactic chapter of season 2 a game changer would be an understatement. 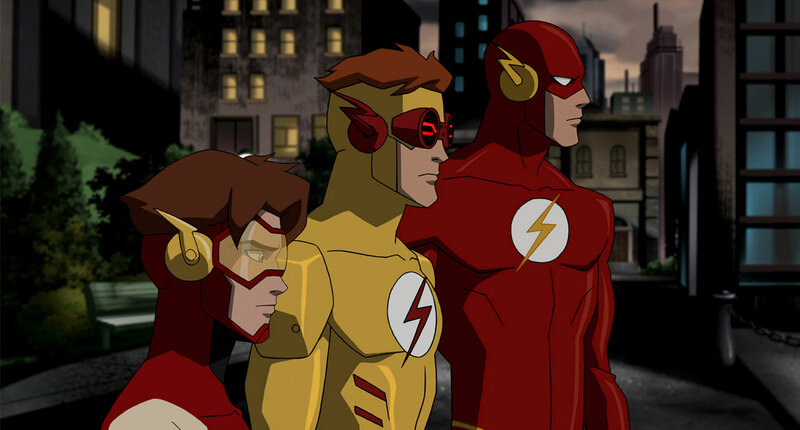 This episode features one of the series' most emotional moments: with the apparent death of Wally West, who sacrifices himself to save the world. And who can forget Artemis’s devastating reaction, or the scene in which she tells Wally’s parents? "Endgame" also sets the group up for their next phase as Bart graduates to Kid Flash, Artemis decides to maintain her Tigress identity, and the team is officially invited to join the Justice League at their Watchtower headquarters, bringing things full circle from the show's pilot, "Independence Day". 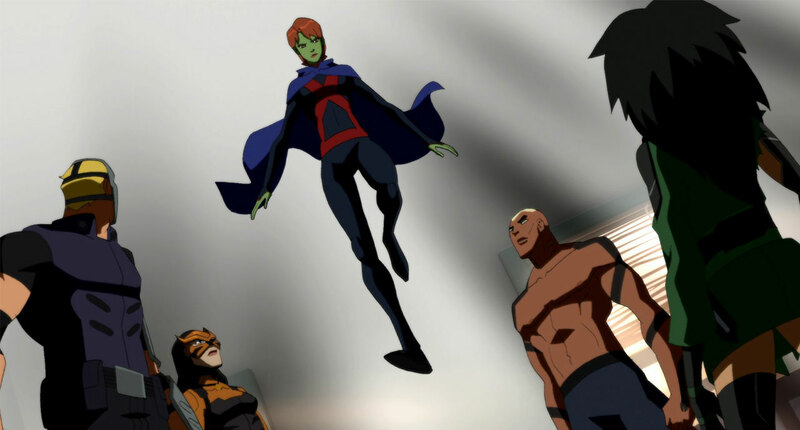 Considered one of the strongest installments of the series, "Endgame" is another episode featured in Young Justice Enhanced.